Sandra MacLean Uberuaga has a Bachelor’s of Science from the University of Washington in Speech and Hearing Sciences and a Master’s in Audiology and Pathology. She has been an Alaska resident since 2000. Sandra is president of Anchorage based Alaska Occupational Audiology & Health Services, Inc., as well as Washington Audiology Services. Both companies provide mobile hearing conservation services, including noise level measurement/dosimetry, on-site audiometric testing, employee and management training, claims and program review as well as specialized hearing protection fitting services. Sandra has been working exclusively in this field since 1982. She is an active member of the National Hearing Conservation Association (NHCA) and has served on its executive council. She is a six time recipient of the golden lobe award from NHCA. Sandra is a member of the American Speech-Language-Hearing Association. She is a fellow of the American Academy of Audiology, a member of the American Society of Safety Engineers and the Acoustical Society of America. She has been an active course director, teaching occupational hearing conservationist courses for the Council for Accreditation in Occupational Hearing Conservation (CAOHC). She is also certified as a Professional Supervisor by CAOHC. Sandra has served on the medical standards technical committee of the National Fire Protection Association (NFPA). She was appointed to a committee by the National Academy of Sciences to determine worker disability for the Social Security Administration. 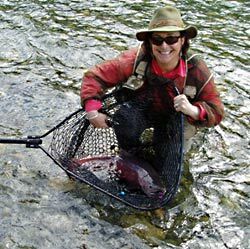 When not working, Sandra can be found fishing, traveling or cooking international cuisine.